William B. Umstead State Park - Take a Hike! William B. Umstead State Park is a 5,579-acre state park nestled within the bustling Triangle area between Raleigh, Cary, and RDU International Airport. Despite the park's location amidst booming development, it is a great natural oasis within an urban setting. The land that is now Umstead park was farmland until the 1930s, when the federal government bought up depleted farmland for conservation. The state purchased this area from the federal government, originally named the Crabtree Creek Recreation Area, for $1 and additional facilities were built when the General Assembly first appropriated funds for state parks in the 1940s. In 1950, 1,000 acres were established as a separate park for African-Americans, called Reedy Creek State Park. For this reason, the park still has the two separate entrances. Crabtree Creek Recreation Area was renamed after William Bradley Umstead, a former NC governor known for his conservation efforts, and in 1966 the two areas were united and desegregated under the William B. Umstead State Park name, with both areas open to all visitors. There are two main entrances to Umstead Park, a legacy of the park's segregated past. As such, it is not possible to drive between the entrances within the park. Directions to each are described below or use the map to generate customized directions to either of these entrances. The Crabtree Creek Entrance is off Glenwood Avenue (US-70 E) just southeast of I-540. The Visitor Center, Boat Rentals, tent camping, and several trails are accessible from this entrance. The entrance is located about ten miles northwest of Raleigh on US-70. From I-40, take I-540 east (exit 283) for about 4 miles to to US-70 E (exit 4). The park entrance will be on the right after just over a mile. The Reedy Creek entrance is off Harrison Avenue, just north of exit 287 from I-40. This entrance tends to be the most crowded, especially on a nice weekend morning and finding a parking spot may be a challenge. The entrance is located about 11 miles west of Raleigh on I-40. From I-40, take the Harrison Ave. exit (287) and go north into the park. Big Lake, the largest lake in the park provides boating opportunities. However, boats are no longer rented from the boat house anymore; they may be rented from the Visitor Center. After renting, follow the road to the end and park. Hike down to big lake and cross the dam, where the boats are located. Check the park's website for details. Despite the name, Big Lake is rather small, and it is easy to explore the entire lake within the first hour. Canoe rentals are also popular for fishing on the lake. The park has a 28-site family campground near the Crabtree Creek entrance with drive-up campsites. Bathrooms with running water and showers are located in the campground. The campground is open from spring through fall; check the park's website for exact dates and reservation details. Additionally, there are primitive group, youth tent, and a primitive lodge available to organized groups. There are about 20 miles of hiking trails in the park as well as additional bike/bridle trails that can be hiked. Many trails can be combined and/or shortened to create any desired hiking length from less than a mile to more than 20 miles. Details for each of the hiking trails are listed below. Hiking is also permitted on the multi-use bike-and-bridle trails. See the Horseback Riding/Bicycling section below for details on these trails. The park's two separate sections each have several hiking opportunities. The Crabtree Creek entrance off US-70 has the trailheads for the shorter Oak Rock, Pott's Branch, and Sal's Branch Trails as well as the longest hiking trail in the park, Sycamore Trail. The Reedy Creek entrance off Harrison Ave. has the trailheads for the short Inspiration Trail, as well as the longer Company Mill and Loblolly Trails. Detailed descriptions for each of the trails are listed below. The campground spur trail leads from the campground to the northernmost section of Sal's Branch Trail. This spur provides easy access for campers to hiking along Sal's Branch Trail, which leads to the Visitor Center and the Boat House. This spur trail leads from the northeast corner of the Company Mill Trail to Graylyn Trail at the bridge over Sycamore Creek right at Sycamore Trail. Using this trail allows hikers to combine the Sycamore and Company Mill Trails for a longer hike of 9 or 11 miles (whether starting from the Company Mill or Sycamore trailheads, respectively). Company Mill Trail starts from the northwest corner of the Reedy Creek entrance parking lot past the picnic area. The trail uses switchbacks to dip down behind the picnic shelter and then there is a left turn for the short Inspiration Trail. Between here and Crabtree Creek, the trail passes through Crabtree Shrub Slopes Natural Area, a registered Natural Heritage Area. Once at Crabtree Creek, there is a steel footbridge crossing the creek. From the trailhead to this point is about a mile. Company Mill Trail is the most popular trail in the park, but most visitors only hike this first section. Once across the bridge, the trail splits to form a loop. Turning left here to follow the loop clockwise, the trail follows Crabtree Creek upstream for a ways then gradually climb as the trail departs from the creek. After a while, the trail crosses Reedy Creek Trail, a gravel bike and bridle trail, then descends to Sycamore Creek. The trail follows this creek downstream for a ways until passing the Company Mill Spur that turns left. This trail leads to Graylyn Trail, another bike and bridle trail, at the Sycamore Creek Bridge for the option to add the Sycamore Trail. Adding this loop brings the total hike to about 9 miles. From the spur trail, the trail climbs up a ways to cross Reedy Creek Trail again and then descends back to Crabtree Creek. You may notice what looks like some stairs that have been covered up with sticks and brush. The Company Mill Trail used to have a fairly steep climb up these stairs, but the park changed the trail to have switchbacks and reduce the slope of the trail and prevent erosion. Finish the loop off along Crabtree Creek. Right before getting back to the bridge, you can see the remains of the old Company Mill site and dam in the creek. The rocks out in the creek make a great spot to take a break or have a lunch. Right along the trail is the millstone from Company Mill that was recovered in the creek in 1994 by a park historian. From here, turn left to cross the bridge and take the trail back to the parking lot. The Inspiration Trail is a short interpretive trail at the Reedy Creek entrance of the park. The trail splits off from the longer Company Mill Trail, just down the hill from the shelter at the trailhead. It makes a short loop through part of the Crabtree Shrub Slopes Natural Area, a designated Natural Heritage Area. Benches along the trail provide a spot to take a rest and enjoy the natural setting and interpretive signs along the trail help visitors identify and learn about the trees growing in the area. Loblolly trail is the only hiking trail in the park that is not a loop, so plan for twice the distance to walk up and back. The trailhead is at the northwest corner of the Reedy Creek entrance parking lot. Almost immediately on the right, just off the trail, is the Young Family Cemetery and then heads gradually down towards Reedy Creek. A bridge provided easy access across the creek, but was damaged during storms in early summer 2013. The trail was rerouted in 2015; I've updated the distance above and the map at the top of this page. In about a quarter-mile, the trail now bears to the right a leads down to the creek. Some large rocks have been placed in the creek to allow hikers to rock-hop across. The trail then heads up a bluff overlooking the creek, then heads back down and crosses a small tributary on a footbridge. The trail crosses a couple more streams and then intersects with Reedy Creek Trail. Past the gravel road, the trail passes a small pond and then crosses South Turkey Creek Trail shortly before leaving the state park. Past the park boundary, the Loblolly Trail becomes Richland Creek Trail (part of the Capital Area Greenway) and through runs through Carl Alwin Schenck Memorial Forest, ending at the RBC Center. Oak Rock Trail is a short interpretive trail at the Crabtree Creek entrance of the park. The trail starts at the first parking area past the visitor center, just before the parking lot for the boat house. From the trailhead at the northern end of the parking lot, the trail makes a loop as it heads through the woods. Along the way are interpretive signs to identify trees along the trail and learn more about the importance of trees. If you hike the trail counterclockwise, about three-quarters of the way through, you'll see an interesting oak tree that seems to be growing out of some big rocks as in the picture below. I guess that this is what the trail is named for. The trail then loops back around to the beginning for a distance of just over a half-mile. Pott's Branch Trail is a short loop trail, just over a mile. The trail can be accessed from either of the two parking lots past the visitor center at the Crabtree Creek entrance. From the furthest parking lot, the trail descends down near the dam at Big Lake and follows Sycamore Creek to the confluence with Pott's Branch. The trail then follows its namesake creek for a ways, crossing Sycamore Trail and then heading back towards the parking lots. Just before departing from Pott's Branch, the trail passes an old dam shown in the picture below. From here, it heads up to a wooden deck near the picnic areas and comes out at the second parking lot and makes its way back to the start, passing the restrooms on the way. Sal's Branch Trail is a medium loop trail, just under three miles. The trail starts behind the visitor center at the Crabtree Creek entrance to the park. Behind the visitor center, it crosses the back parking lot and goes into the woods. After a short distance, a spur trail to the family campground splits to the right. After this intersection, the trail loops around and runs along the eastern shore of Big Lake. Although mostly obscured by trees, there are a few points where you can see the lake, particularly in the winter when the foliage is down. The trail leaves the forested area at a power line right-of-way near the boat dock and then goes back into the woods, running roughly parallel to Umstead Parkway as it loops back to the visitor center. Sycamore Trial is the longest hiking trail in the park and starts at the furthest parking lot from the Crabtree Creek entrance near the boathouse. Past the picnic shelters, the trail descends to Pott's Branch via a couple of switchbacks, crossing Pott's Branch Trail, and follows the creek for a short ways. The trail departs from the creek, crosses a gravel road and ascends through the forest, coming out near the Multi-Use Trail parking area and Graylyn Trail. After passing the intersection, the trail splits. Going straight/right to hike the loop in the counterclockwise direction, the trail switchbacks down to Sycamore Creek and follows the creek downstream. The trail alternates between the floodplain of the creek and the ridgeline above the creek, with some nice views of Sycamore Creek. After about a mile, the trail crosses the Graylyn Bike & Bridle Trail at the Sycamore Creek Bridge. The trail continues to follow the creek for another mile or so, before looping back around up the ridgeline to finish off the loop. Turn right at the intersection and follow the trail back to the parking lot. Umstead is one of the few state parks that have trails for bicycling. There are about 13 miles of multi-use trails for bicycling, horseback riding, and hiking. The trailhead for these trails are at the Multi-Use parking lot. To reach this parking area, enter at the Crabtree Creek entrance off US-70 and turn left just past the visitor center. Turn right onto the gravel road and make a left onto Sycamore Road (another gravel road) and travel to the end for a large open parking area. A spur trail leads to Graylyn Trail and access to the other multi-use trails in the park. All visitors with horses must check-in at the visitor center and provide proof of a negative equine infectious anemia (Coggins) test. Cedar Ridge Trail starts at the point where North and South Turkey Creek Trails come together near Ebenezer Church Road. From this point, the trail ducks into the woods and crosses a small stream that feeds into Crabtree Creek. There is no bridge so you'll have to ford the stream. If on foot, there are usually enough exposed rocks to hop across the stream without getting your feet wet. From here the trail gently rises up to a ridgeline between Sycamore and Crabtree Creeks and terminates at Reedy Creek Trail just west of where Graylyn Trail ends. Graylyn Trail starts at the park boundary, where Graylyn Drive (off of Ebenezer Church Road) ends. This multi-use trail leads past the spur trail from the horse trailer parking area and continues to Reedy Creek Trail in the heart of the park. Right before the intersection with the spur trail is the King Family Cemetery, one of several cemeteries within the park's boundaries. Further on, North Turkey Creek Trail splits off to the left and shortly after, Sycamore Trail crosses the trail. The trail then heads through an open area and leads down following a powerline right-of-way. The trail intersects Sycamore Trail again at the Sycamore Creek Bridge and the Company Mill Spur Trail splits to the right. Finally, the trail gradually heads up before terminating at Reedy Creek Trail near the western terminus of Cedar Ridge Trail. Reedy Creek Trail is the longest bike and bridle trail and intersects many of the park's other trails. The trail starts at the end of Old Reedy Creek Road on the park boundary just north of the bridge over I-40. From here, the trail leads north along the park's western boundary to the Airport Overlook with views of RDU International Airport. The trail then follows the ridgeline between Sycamore and Crabtree Creeks southeast, bisecting the Company Mill Trail loop. Soon after, Graylyn Trail and then Cedar Ridge Trail split off to the left. The trail then descends and crosses Crabtree Creek on a bridge. Reedy Creek Lake and Reedy Creek Lake Trail are on the right as the trail ascends and ends at the parking boundary near Trenton and Reedy Creek Roads. Reedy Creek Lake Trail is a short bike and bridle trail that leads from Reedy Creek Trail back towards the parking area. The trail splits off from Reedy Creek Trail at Reedy Creek Lake and runs past the small lake, ending shortly at a road leading to rangers' homes. This road is closed to vehicular traffic, but you can walk back to the Reedy Creek parking area along it. North Turkey Creek Trail splits off from Graylyn Trail between the Multi-Use Trail parking area and the intersection with Sycamore Trail. The trail runs roughly parallel to Ebenezer Church Road and ends at the intersection with Cedar Ridge and South Turkey Creek Trails. South Turkey Creek Trail begins at the park boundary near Trenton and Reedy Creek Roads. The trail runs north and ends at the intersection with Cedar Ridge and North Turkey Creek Trails. Long before settlement, the land that is now William B. Umstead State Park was a vast untamed forest. Native Americans used the land before European settlement, establishing trade routes through the area, including the Occoneechee Trail and the Pee Dee Trail. Settlement started in 1774, when land grants opened up the area. Much of the forest was cleared for timber and to build farms. By the early 20th century, poor cultivation practices and one-crop production led to erosion and soil depletion, and by the time of the Great Depression, the land had become poor for agriculture. In 1934, under the Resettlement Act, the federal and state government purchased approximately 5,000 acres of worn-out farmland to develop a park, then called the Crabtree Creek Recreational Demonstration Area. Workers from the Civilian Conservation Corps and Works Progress Administration constructed park amenities, including camps and picnic areas, providing recreational opportunities to the community and much-needed employment to young men in the area. These workers also did much to improve the land quality by planting forests, building dams on creeks to form lakes, and instituting land management practices. Much of the work was performed between 1931 and 1946 and the park opened to the public in 1937. The end result is a great example of Depression-era public works project. The park was sold to North Carolina in 1943 for $1 and more facilities and amenities were built by the state. In 1950, 1,000 acres on the southern end of the park was established as a separate park for African-Americans, called Reedy Creek State Park. In 1955, the Crabtree Creek section of the park was renamed in honor of the late William Bradley Umstead, a former governor who strongly supported conservation efforts. 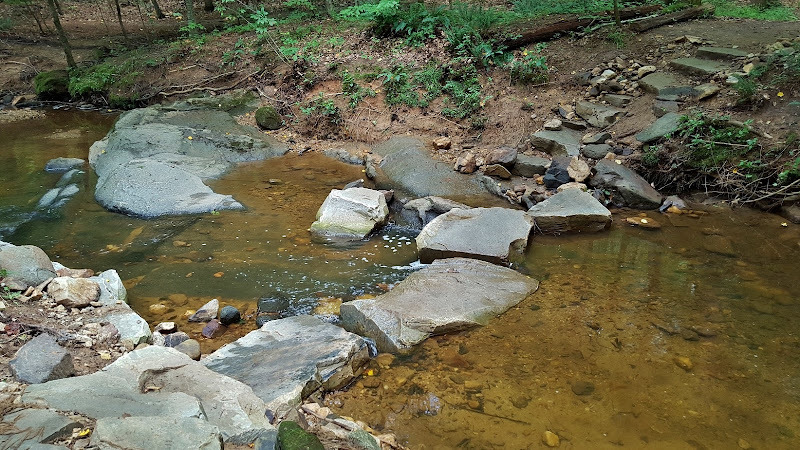 With the passing of the Civil Rights Act, the park was desegregated in 1966 and both the Crabtree Creek and Reedy Creek sections were united under the William B. Umstead State Park name and the entire park was open to all visitors. For visitors looking to learn more about the park's history, a good first stop is the visitor center at the Crabtree Creek entrance to the park. There are many exhibits here about the park's cultural and natural history and park rangers and staff are available to answer questions and provide more information. Another great resource is the book Stories in Stone by Tom Weber. Mr. Weber spoke with many of the people who lived in what is now the park as well as those who were responsible for constructing the park. The book includes some mapped walks to various places in the park to see ruins and artifacts of the park's past. Stories in Stone is available at the park office and local bookstores. I made the following video on a history hike of Umstead Ruins with Rod Broadbelt. On the hike, we went to several old homesteads and ruins throughout the park and Rod gave a brief history of the site. As an added bonus, Joe Grissom, who lived in what is now the park until age 8, came along for part of the hike and added a great first-person perspective. The Company Mill, owned by the Page family, was built along Crabtree Creek. Prior to the park's creation, the mill was an important site for social gatherings for the community. The mill was destroyed in a flood and all the remains now is the dam foundation. The mill stone, now on display along Company Mill Trail, was discovered in the creek and moved to its present location by helicopter. There are a number of old cemeteries within the park. Several are small and located well off established trails and so difficult to find. Three cemeteries are located right off the trail and easy to visit and get a glimpse into the park's past. The King family was one of the wealthiest families who once lived in the park and as such, they have one of the nicest cemeteries. The graves are located right off Graylyn Multi-Use Trail near the connector to the Multi-Use parking lot. 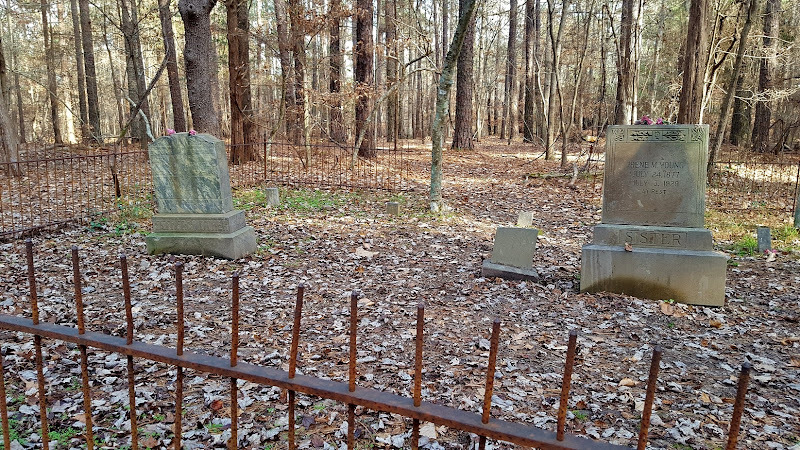 The Warren cemetery is located off Reedy Creek Multi-Use Trail between the two intersections with Company Mill Trail. The cemetery is located next to an open area and a kiosk next to the cemetery shows the genealogy of the Warren family. 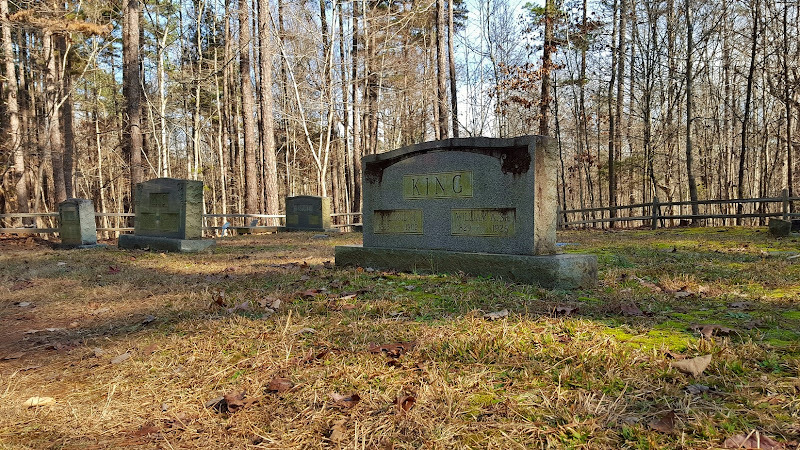 The Young cemetery is located along Loblolly Trail just past the picnic area at the trailhead. In November 2017, chainsaw carvers Jerry Reid and Randy Boni from Smoky Mountain Art in Gatlinburg, TN carved a fallen red oak tree using chainsaws. It's really amazing what they were able to do with their chainsaws. The art is on display along Graylyn Trail, between the intersections with North Turkey Creek Trail and Sycamore Trail. It's huge and hard to miss. The plants and animals carved into the log represent many of the species found in the park. The land that is now William B. Umstead State Park was previously depleted farm land until the federal government purchased the land to make a park in the 1930s and is now reverting back to its natural state. As such, the park is a great example of ecological succession as the former farmland is turning back into various forest types. Crabtree Shrub Slopes Natural Area is a special area within the park, located along the banks of Crabtree Creek. It is designated as a Natural Heritage Area. This area can be accessed from the Company Mill and Inspiration Trails. High, north-facing bluffs along Crabtree Creek create a microclimate similar to that found in more mountainous areas. As such, shrubs uncommon to the region flourish in this area, including mountain laurel (Kalmia latifolia) and rhododendron. In late spring, the shrubs put on a flowery show not normally seen in the Piedmont. Pinxter azaleas (Rhododendron periclymenoides) can also be found in Crabtree Shrub Slopes Natural Area. It produces beautiful pink flowers, but like most rhododendron, is poisonous. Eastern Redbud (Cercis canadensis) is a beautiful flowering tree with bright pink blooms in the spring. These unique trees not only have flowers blooming along their branches, but sometimes growing right out of the trunk. Another flowering tree that blooms in spring is the flowering dogwood (Cornus florida). The flowers are actually the small green centers - the white "petals" are actually bracts, a type of leaf. American holly (Ilex opaca) is an evergreen tree that produces bright red berries in the winter. Many species of birds eat these berries during winter when food is scarce. Spring time is a great time for viewing wildflowers in the park and a sure sign that winter is finally over. Before the leaves come back to the trees, spring ephemerals bloom along the forest floor while sunlight can still penetrate the forest canopy. A good place to see these flowers is along the creeks running through the park. This patch of Spring Beauty (Claytonia virginica) was growing along Crabtree Creek. Another early spring wildflower is the star chickweed (Stellaria pubera). With small, white, star-shaped flowers, it's clear how these flowers got their name. The next picture is of azure bluets (Houstonia caerulea) growing along North Turkey Creek Multi-Use Trail. Heartleaf foamflowers (Tiarella cordifolia) have tall inflorescences with many small flowers, giving them a "foamy" appearance. Atamasco lilies (Zephyranthes atamasca), also called rain lilies, are one of the most beautiful wildflowers found in the park. They're not common, but can sometimes be found in big patches. Dwarf crested irises (Iris cristata) are not as common as some of the other wildflowers, but patches can be found here and there throughout the park. Spurred butterfly pea (Centrosema virginianum) is a species of pea that grows on a narrow twining vine with a pretty violet flower. Green-and-gold (Chrysogonum virginianum) is another common species of wildflower that blooms in early spring. Their bright yellow-gold flowers are easy to spot long the trail..
Mouse-ear tickseed (Coreopsis auriculata) can be found along the trails and clearings, such as powerline right-of-ways. Their pretty yellow-orange flowers have eight petals. The forests throughout the park have a large number of ferns growing in them. Young ferns start out as a "fiddlehead" that grows into the fern frond. After a good rain, you can see a lot of mushrooms popping up out of the ground. Hiking in the rain isn't for everyone, but if you don't mind getting a little wet, during and right after a good rain in the summer is the best time to see mushrooms in the park. If you come across mushrooms in the park, please don't disturb and leave for others to enjoy and don't ever try to eat wild mushrooms. Below is a picture of some beautiful American Caesar's Mushroom (Amanita jacksonii) growing just off the trail. The next picture is a Chicken of the Woods or Sulfur Shelf mushroom (Laetiporus sulphureus). If I'm correct in identification, these fungi are edible and considered a delicacy by some. Ringless honey mushrooms (Armillaria tabescens) are parasitic to the trees that they grown on. I'm not real good at identifying mushrooms and fungi, but here are a few more pictures of some beautiful mushrooms I've captured in the park. Many species of birds call Umstead home. The shallow creeks throughout the park are a good place to catch fish and great blue herons (Ardea herodias) can be found wading, looking for their next meal. A number of reptiles live in the park, including snakes, lizards, and turtles. 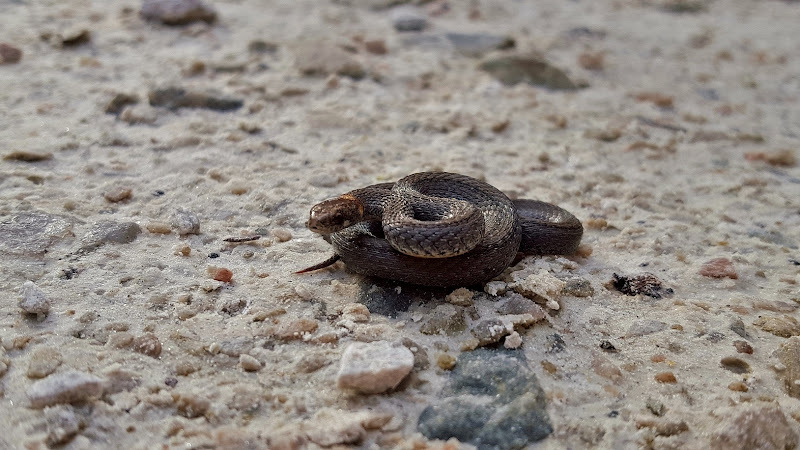 Snakes found in the park, include non-venomous snakes and venomous snakes. The most common venomous snake is the copperhead (Agkistrodon contortrix). Although poisonous, these snakes are not aggressive and will only bite if provoked. Use caution if you see one on the trail and it will leave you alone. A much less common and only mildly venomous species found in the park is the ring-necked snake (Diadophis punctatus). Although poisonous, these snakes pose little threat to humans as their fangs are too small to penetrate human skin. Ring-necked snakes are nocturnal and rarely seen during the day, but I was lucky enough to find one sunning himself on a multi-use trail on a warm winter day. Eastern fence lizards (Sceloporus undulatus) are one of the larger lizard species found in the park. They have excellent camouflage, blending in well against tree bark and rocks.